At Videoslots Casino you probably find the most online casino games possible. In their easy to navigate casino lobby you find over 2.000 different casino games. 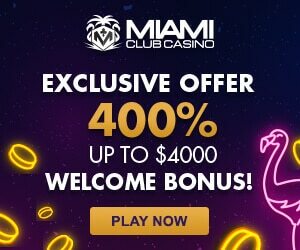 And when you join the casino through our website you receive an interesting Videoslots welcome bonus. On registration (no deposit needed) you receive 11 Free spins on Starburst. And on your first deposit (minimum deposit is €10) you receive €10 extra cash and 100% bonus. You receive 100% on top of the first real money amount you deposit at the casino. In total you can collect up to €200 extra upon your first real money deposit at Videoslots Casino. When you enter Videoslots you find a lobby fully packed with different online casino games. You can almost find every available game at Videoslots. So whether you want to sit down and play classic casino games or want to spin slot machines at Videoslots you get everything. In the lobby you have an easy to use navigation and in the footer you see your latest games, new games, most popular games and all available categories. And you can play these games at a desktop computer or you can try them on a mobile device because most of the games are mobile ready. Get your journey started at Videoslots today and start collecting the exclusive Videoslots welcome bonus. At Videoslots Casino the first part of the welcome bonus is a 11 free spins offer. When you join the casino you receive 11 free spins that you can use on the most popular video slot Starburst. There is no deposit needed to collect these first 11 free spins. You only need to register a free account and verify this account. Once verified you are ready to go and hit some big wins. With the 11 free spins on Starburst you can win real money because the spins are worth real money. When you hit a win this win is added to your cash balance. With this cash you can play every available game at the casino. And you can also withdraw the winnings (minimum payout is €20 at Videoslots). This is a great and free chance of trying this casino. No deposit so no risk of losing any real money till this moment. After you used the 11 free spins you can choose to play with real money and profit from the underneath two Videoslots welcome bonuses. Of course I hope you made a nice win on your 11 free spins and that you don’t need to make a first deposit to reload your account. But when your account is empty and you wanna continue playing at Videoslots we have a new Videoslots welcome bonus for you. On top of your real money deposit you receive 100% free from the casino. So when you decide to make a €50 deposit you receive €100 in your account. €50 real money and €50 bonus money. Both amounts are ready for use on all the available games. At Videoslots the minimum deposit is €10 and you can collect up to €200 free cash on your first deposit. So the more you deposit the more free play money you receive. Every deposit between €10 and €200 is doubled up in your account by Videoslots. With this free play money you have more chances of hitting a few big wins at the casino games. Are you ready to give Videoslots a try? Claim your Videoslots Welcome bonus here! At Videoslots you can earn rewards every day. During your play you frequently get rewards from the casino. You find these rewards in your account or on top of the page when you are logged in at the casino. When you decide to make a first deposit at Videoslots you get an interesting reward straight away. Make a minimum deposit of €10 and you find a €10 reward in your account. Activate this reward at any time. You don’t need to use this reward directly. You can leave it in your reward overview till you are ready to use it. With this reward you can play €10 free at your favorite games. Activate the reward and choose a game you want to play. With the €10 reward you can win real money and you can withdraw your winnings once you reached the active wagering requirements. Videoslots not only offers you the best and the most online casino games. They also offer a few interesting features for you as a player. Every week you automatically join the casino races and the weekle cashback competition. First I will explain the casino races at Videoslots. With your Videoslots welcome bonus you can load up your casino account with real money. Once you start playing you earn pints. The more you play the more points you earn. Every week there is a casino race. In this race the top 5.000 players receive a cash amount at the end of the week. On monday afternoon you receive an email from VideoSlos with your final casino race position and the amount of money you earned. This money is added to your account directly. This money is wager free so you can withdraw it directly. During your stay at Videoslots Casino you receive rewards that can double your casino race points or rewards that double your upcoming spins. So keep a good watch on your rewards page. Every week on friday you receive cashback on the money you played at Videoslots. So again, the more you play the more you receive. Cashback is a share of the amount that you played during a certain period. Every friday you receive an email with the weekly cashback amount you earned in it. This cashback money is also wager free and it is added to your account directly. Exciting news, at Videoslots they have launched a brand new feature. This new feature, which is called the Wheel of Jackpots, allows people to hit a Jackpot simply by playing games in the casino. How it works? Simply play games like you normally would do. While spinning your favourite slots you will be able to unlock new achievement by hitting features and big wins. And these achievement can come with a spin on the Wheel of Jackpots. This unique Wheel now offers three Jackpots up to €8.000,-. And you know what’s great? 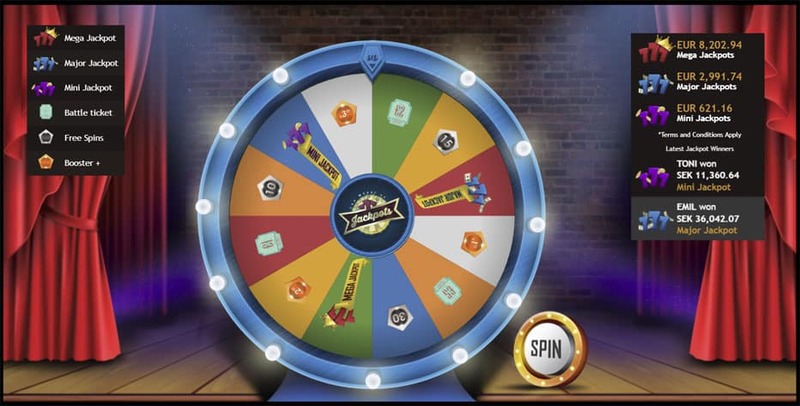 The Wheel of Jackpots offers you a guaranteed prize! If you hit no Jackpot you will at least get some Free Spins, a Battle Ticket or a deposit booster! Ready to learn more about this brand new feature? On this page you will find more information about the Wheel of Jackpots! If you enjoy to play slots then Videoslots might be the best casino to join. Why? They offer a terrific collection of slot games. At this very moment you will find over 3.300 different games at Videoslots Casino. And this collection is growing every day! At Videoslots you will find new games on a daily basis, which keeps things exciting. In the lobby you will find games by all big popular suppliers including NetEnt, Amatic, Microgaming, Play’n Go, Quickspin, Big Time Gaming and Thunderkick. In addition to this Videoslots offers casino games by less known providers including Blueprint Gaming, Endorphina, Fantasma, Foxium, GamesLab, Kalamba, Lightning Box and Playson. To be fair, you just need to take a look. Why? The collection is so big! I cannot name all providers, there are over 100! On top of an amazing selection of video slots this casino is also home to various table games, a live casino, classic slots and high Jackpots. At the moment the highest Jackpot is at 12 million euros (Mega Moolah), which would of course be insane to win. Curious about the complete portfolio of games? Then open Videoslots Casino right away! Our main goal is to provide you with great information about the best and most secure online casinos. And that’s why we love writing about Videoslots! Videoslots is one of our closest partners in the iGaming industry since we love the team and the high performance of the casino. 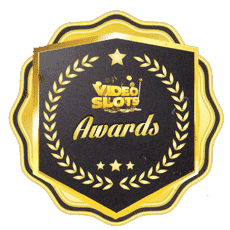 To reward this close partnership we have been nominated for the ”Affiliate Innovator of the Year” Award during the Videoslots Awards during the yearly Sigma Convention. Sadly we didn’t won the prize, but it is still a very nice recognition of the team behind Videoslots Casino. If you like to learn more about this great convention and our visit to Malta, please visit this place! To round up this article I would like to highlight one more feature of Videoslots Casino. All Videoslots members will be able to join daily tournaments in the ”Battle of Slots” environment. During each battle you will get a certain amount of spins on a slot. By hitting wins and big win you will be able to convert these spins into points. During the battle you will compete with other players to get on the leaderboard. And the higher you get, the better the reward will be! By joining the Battle of Slots you will be able to win hundreds of wager Free Spins without risking any money. In addition to this you can also join paid tournament to win even bigger money prizes! Curious how you can enjoy yourself in this exciting environment? Then read more about the Battle of Slots on this page! The Videoslots welcome bonus is an interesting one because it offers you 3 different bonuses in one time. But as you can see in the underneath table there are more bonuses waiting for you. If you fancy to try another casino you can now try over 100 different safe and reliable online casinos with a welcome bonus. Open the casino or bonus of your choice by clicking the play button. We open the casino and we activate the active welcome bonus for you. You only need to join the casino with a free account and you are ready to go. Keep notice that there are a lot of online casinos that offer free play money on registration. This is an unique chance of winning free money and trying online casinos.